Robert Diaz de Leon received his Bachelor of Arts degree in 1982 from Claremont McKenna College. He earned his Juris Doctor in 2001 from University of La Verne College of Law. He is a member of the State Bar of California and the United States District Court, Central District of California. Prior to becoming an attorney, Mr. Diaz de Leon was a workers’ compensation claims examiner and hearing representative for eight years. He was a hearing representative for Cal Comp/Superior National and subsequently for Travelers Insurance. This work experience inspired Robert to attend law school while continuing to work full time. In law school, he was a member of the law review and won honors in the Hispanic National Bar Association moot court competition. He was class valedictorian at the University of La Verne, College of Law. 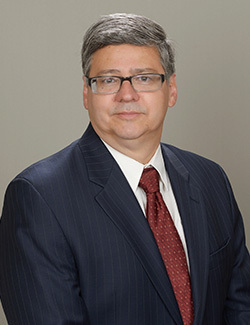 Robert is experienced in workers’ compensation and civil litigation.